Seriously... wtf is going on here? Jubo is working hard with these simfiles man. It's just like me. Respect the packs of others and give them a chance. To Jubo: I can't wait for your simfiles to be ready. They look like they are going to be great. I could make an exception if Jubo publicly releases the Pad sims if his intentions are also towards ODM. Still need them submitted to Beta4 first. Waiting for awesomeness. Your strong point is pad file so why not make one..
PS. I stepped KB Sousei no Aquarion not long time ago but scrapped it because BPM is kinda fucked up. You can have my GFX if you want. No, am I? hehe... sorta back. Backtracking my days when I was "in love" with anime & stepmania. 2005-2007 era. Really... PAD huh. Thx, I dunno if I can make that great of a pad anymore? (I never knew I make good PAD files, honestly I never test them ) Will see on my rehab/retooling my ability on making simfiles, for the next several months. I dunno if I should take your gfx. But I would like to stick to my files, for now. might use them. Anyways thx for the help. Aquarion is pretty kool song when Lain first created his, so I made my own version. Might be worst than his... but worth a shot. Going to tackle the PAD steps for that when I feel up to it. Please don't... Though. I have NOTHING! planned for ODMix right now. I primarily focusing on improving my rust ability/skill to create enjoyable simfiles, with a pinch of hardness if possible (not to the point you fail on walls of walls of arrows). -If the dam gaming side of me would just be patient. THOUGH! I have no plans for ODMix means I need motivation of a song I would like to make, feel free PM me some song ideas. -Maybe I have several in mind, but I dunno which ones. Hey kona, finally get reply one of your post HAHA! FIRST! anyways. Hehe, I do like seeing people creating packs creates more activity in the StepMania world, crap or not... it just benefiting someone. -Though, I have that guilty conscience of saying/thinking "crap files" which is not good thing. Alright all up. go test them if you want. Great files the KB songs are hard on controller ^^ here is one of the scored that I got on controller. They are great songs to increase my KB and controller skill on. I guess you can call this new simfile release old... since it on ODMix -PAD- Pack. hahaha. KB chart added to this song, don't expect "cold or hot hard smashing stepmania kb style these days". Incase you are wonder how does it look like? So enjoy? kill me? critique it as you have a cold melon-pan. All your extra infos on the spoiler box. 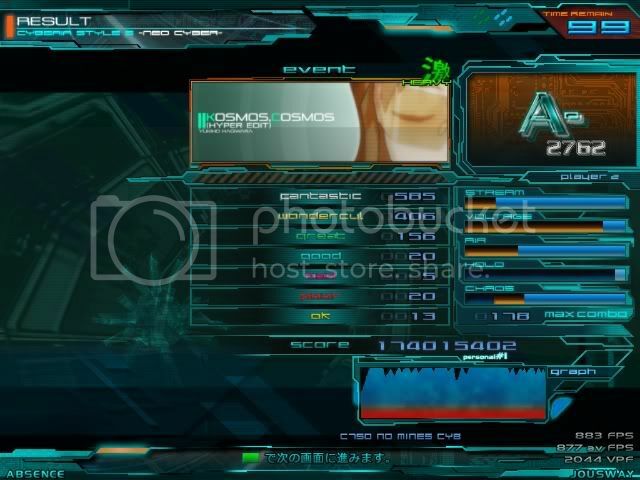 Make sure to extract the files/folder on the ROOT FOLDER of StepMania[ CVS]. - Only difference is the Keyboard Chart added. This simfile and game was pretty much surprise me that Kotoko was singing it. Yah, pretty woah! me. So I get myself to do it, see if anyone done a great job on this song. My verdict was no one did? eh? Anyways... step charts from easy -> Heavy plain and simple for any padder I guess. Challenge chart, is always been very difficult for me to make, I can't make ITG style or the new DDR style steps. - Not that level of step yet. Edit Chart is my keyboard style steps. more jumps and what warnings from chlg chart. Update... NO NEW RELEASES... Just a bunch of Work In Progress simfiles... Need Your Opinion Experiments. i Love - azusa ([Anime] Amagami SS Opening) is not step chart collab with Nick... Nick just did the GFX so he must have credit either way... also for nick to take a look at for potential add into his pack. ummm.... using a new method how my simfiles are structured... in this case... so. So from now on... with my Work In Progress Simfiles will looking that. -- This will cause alot of problems on SMO (Mostly on SM3.95) when choosing the song. Since they both have the same name titles in .sm tags. It will only choose what is first in the list, so that I'll be Songs\Jubo - Project OD which is pad charts. This is no problem in SM4CVS and alpha. I'll uploading my 126-150 Batch soon.... Just to get it over with and move on to the setup of my simfile batches... which like I said above. Alright on my way... need to reupload things again sigh. Now you can find me on YouTube! Going pretty slow these days.... ESPECIALLY with PAD Chart.